Looking to install a front tie bar upgrade? Check out the Megan Racing front tie bar selection we offer. As you drive your car undergoes stress as your whole chassis will twist and absorb energy created by the force of inertia and gravity. Over the years, it s been proven that a performance vehicle must reinforce the chassis and make a more rigid frame by connecting points in your vehicle that are crucial to the behavior of your vehicle. Therefore when you install a front lower tie bar the chassis will feel much more solid. 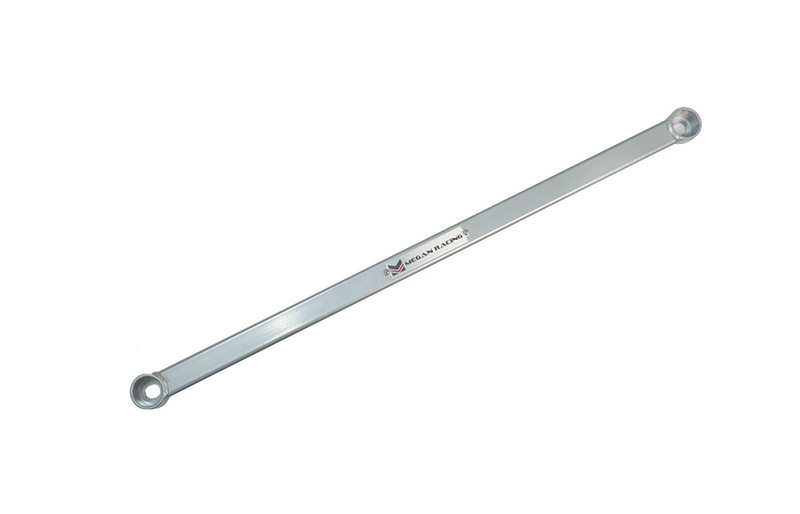 A Megan Racing front tie bar is an upgrade that costs very little and makes a noticeable improvement in handling. How does a front lower tie bar work? By connecting points in your chassis and reinforcing the frame you are able to channel that energy that is being absorbed by the chassis flex back into your suspension components. This allows your suspension components to do their job more effectively with more stability. In other words a chassis that has reduced flex will feel more planted and easier to control. In conclusion this is an upgrade that you should do if you have completed the rest of your suspension and chassis modifications.